Welcome to Muddy Elbow Manufacturing, the home of Soldner Clay Mixers. For information on Soldner Potter's Wheels, please contact Bluebird Manufacturing. 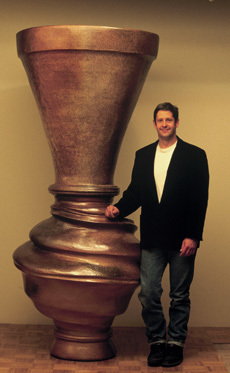 Soldner Clay Mixers are still being manufactured with the same quality construction developed by founder Paul Soldner. Most Soldner mixers are still in service, even some of the earliest ones built more than 30 years ago. Every effort is made to insure this same quality in our new mixers. Soldner clay mixers are a fast and efficient way of mixing fresh clay from powder or reprocessing scrap clay into a useable consistency. There are no sharp blades or augers but rather the clay is pushed against the stationary mixing bars by a slowly rotating concrete tub. What makes a Soldner Clay Mixer so good? We use American-made industrial quality Baldor motors and gear boxes. Most of the repair parts needed to maintain our mixers are off-the-shelf parts and available in your local hardware store. Mixer bars are 1" solid stainless steel. Concrete tub is steel reinforced. 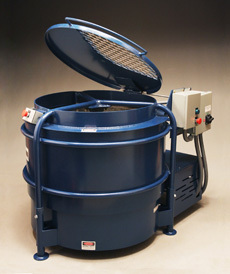 I have used a Soldner Pro mixer in my own studio for the past 20 years, mixing 12,000 to 23,000 pounds of clay each year. The machine has always performed flawlessly. I have a great deal of respect for Paul and the reputation of his mixers, and am pleased be a part of this ongoing tradition of excellence. Thanks for your interest in Soldner Clay Mixers. Please feel free to contact me if you have any questions.